Closing in on 3GHz? That’s right, this Thursday Intel will debut the first Pentium 4 processor running at over 3GHz clockspeed. With that we’ll of course also see the debut of the long awaited HyperThreading on the desktop which has been a Xeon exclusive feature for quite some time now. Coming Thursday we’ll of course be covering the launch and go into greater detail about the performance and extra functionality that HyperThreading brings to the table. Fig 1. The new C1 stepping proves to have excellent headroom allowing for +3GHz clockspeeds. For those of you that are wondering if there’s life beyond 3GHz, we can tell you from first hand experience that there indeed is. 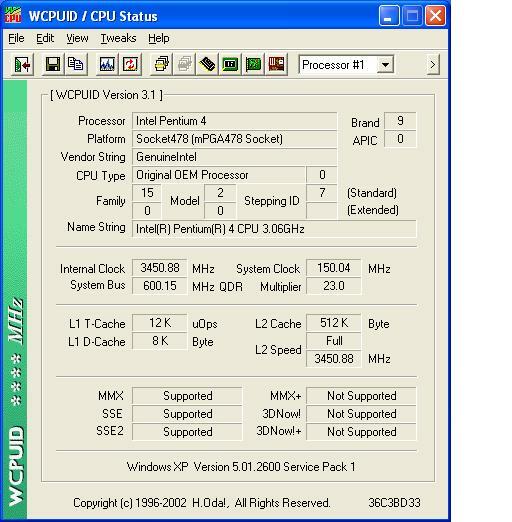 The above screenshot illustrates just how far we’ve been able to push our sample of the new C1 stepping Pentium 4 processor. Take note that this is with the Intel supplied heatsink and no special measures taken but a slight raise in core voltage. We could possibly have pushed it further but the motherboard we used during the testing, an Asus P4T533-C, did not allow us to go beyond the 150MHz FSB we were using. Fig 2. 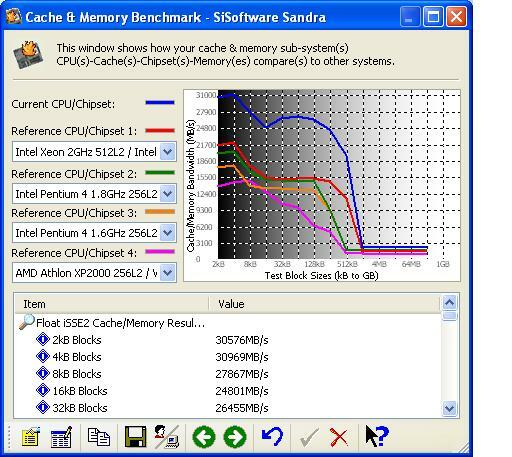 Memory and cache bandwidth of a PC1200 RDRAM based system. What kind of performance did we see? Well, I can’t really comment on that yet as we’re still under NDA. But I can tell you that 3GHz has its merits and that in the above mentioned scenario running PC1066 RDRAM at PC1200 speeds yields an impressive increase in performance as we already explored a year ago in this article. But that’s probably not what most of you will be running their systems at anyway so that’s just to explore what’s in store for the next few speed grades of Pentium 4. By the looks of it the new C1 stepping has plenty of headroom left and should allow for +3.5GHz clockspeeds with a little extra cooling and a slight increase in clockspeed.